Google Maps is 10 years old. Can you believe it? 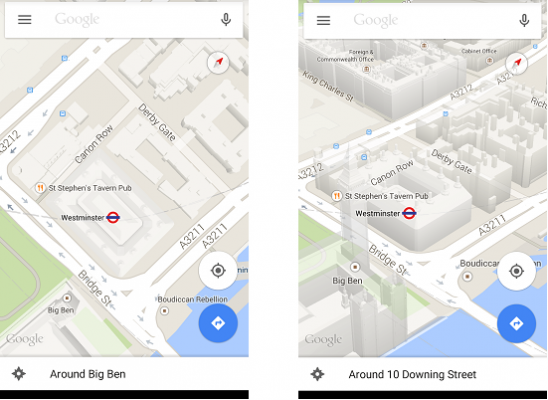 To celebrate, here are some tips so you can get the most out of using Google Maps. Happy 10th birthday, Google Maps! That’s right – it was ten years ago on 9 February 2005 that Google’s mobile mapping service was born. This essential mobile app now provides lucky motorists, cyclists and pedestrians with maps, route planners and street views to help them get from A to B. There’s even an underwater street view service with maps of locations like The Great Barrier Reef. Just in case you get really lost. You already know that you can zoom in or out on your mobile screen by pinching two fingers together or pulling them apart, of course you do. But did you know you can do it one fingered on Google Maps? Simply double-tap on the screen but on the second tap, keep your finger pressed down. If you’re on an Android device, you can now simply slide up to zoom in, and down to zoom out (do it the other way round on iOS). Once you’ve got the hang of the single finger zoom, it’s time to move onto the two finger tilt, young padowan. If you want to adjust the angle of your map for a realistic view, it’s easy. Just touch the display with two of your favourite fingers, and drag down to tilt. You can also rotate the map by going in a circular motion. Being able to save your maps for offline viewing is a great feature. It’s definitely something to bear in mind if you know you’ll be travelling to remote locations where internet access might be lacking, or if you’re going abroad and want to avoid racking up data roaming charges. 1) Tap the search box and scroll down the list to: “Save map to use offline”. 2) Type: “OK Maps” in the search bar, and press search. You can ‘pan and zoom’ to adjust the map further, then press SAVE. If you’re in an unfamiliar location and looking for a bit of inspiration on where to go and what to do, simply tap the search bar and press ‘Explore nearby’. 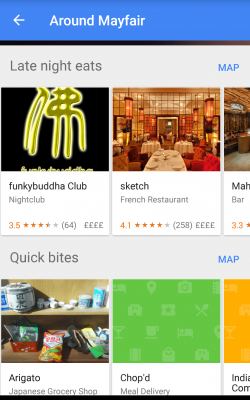 Google Maps will then give you details of the places of local interest, restaurants, coffee houses etc. You can even choose different times of day, so if you arrive at a location first thing in the morning you can start planning your night out straight away. 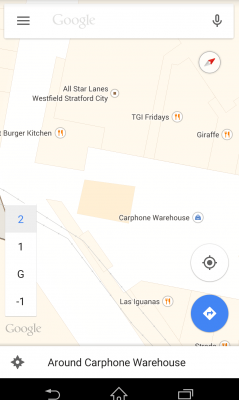 Did you know that Google Maps has detailed floor plans of certain indoor locations? These automatically appear when you zoom in on a building, so try it next time you visit a museum, airport, shopping centre or any other big public building. 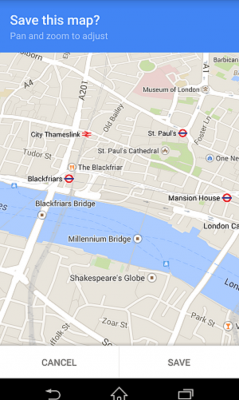 Are you a Google Maps fan? Do you have any hints and tips up your sleeve? Don’t keep them to yourselves – we’d love to hear them.